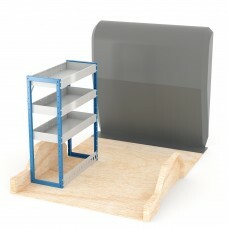 Please find below our suggestions for NV200 van racking shelving. 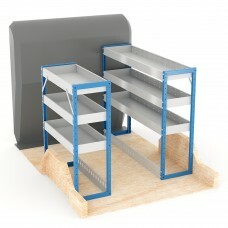 Our metal van racking systems are very heavy duty and all come with complete fixing kits. If you don't find what you are looking for call us to discuss we are more than happy to advise and accommodate your requirements. Please ensure when you are buying that you check the measurements of your van and any existing equipment you have within. 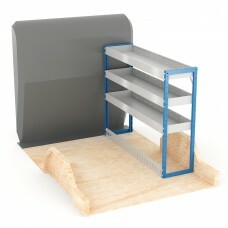 Adjustable Shelf (Full Kit) NV200 Racking System comprises of Nearside: 1000h x 750w x 235d 3 Shelf..
Adjustable Shelf (Nearside) NV200 Racking System comprises of Nearside: 1000h x 750w 235d 3 Shelf (..
Adjustable Shelf (Offside) NV200 Racking System comprises of Offside: 1000h x 1500w x 335d 3 Shelf ..